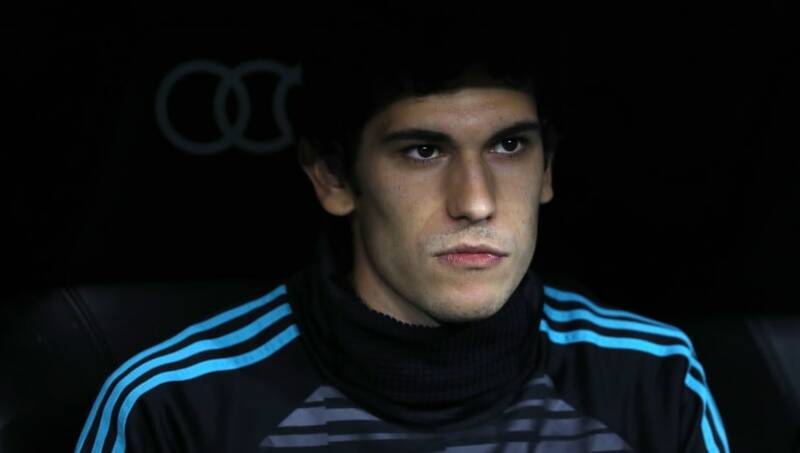 Real Madrid defender Jesus Vallejo has been ruled out of El Clasico on Sunday night due to a thigh injury. The youngster is no stranger to injuries, having had a number of spells on the sidelines during his previous loan spells with Real Zaragoza and Bundesliga side Eintracht Frankfurt. Since his return to the Santiago Bernabeu at the start of the 2017/18 season, he has made a total of 12 appearances in all competitions in what have been another two injury-plagued seasons. He is currently on a run of 24 weeks without a competitive appearance for ​Real Madrid due to injuries, and it's set to become 25 weeks with Real's ​official website confirming the defender has picked up a thigh injury and will be further evaluated this week. It's yet another set back for the 21-year-old, who was once deemed to be the man to replace club legend Pepe in the Real back line after the Portuguese international moved to Besiktas in 2017. It also comes as another setback for a Madrid side who are in the middle of a mini-crisis. The face a personnel shortage in defence with Dani Carvajal also missing due to a calf injury, meaning both Alvaro Odriozola and Lucas Vazquez have had to fill the right-back spot for Los Blancos in his absence. Madrid are heading into their clash with ​Barcelona on Sunday on one of their worst run of results in recent memory. They've gone four ​La Liga games without a win - a run which has included defeats against Sevilla, Deportivo Alaves and Levante - and have scored just one goal in that time. They head into the game sat seventh in La Liga, going up against the league's early pace setters Barcelona, who themselves are coming off the back of two impressive wins against Sevilla in the league and Inter in the Champions League.